Spam is an age-old problem. Some people get relatively little and others get a lot. How much you get depends on various factors. In my experience, eliminating email spam is impossible, however, reducing it is possible. It can happen anytime and it is not necessarily down to how popular your website is. It can increase at any point depending on who has got your email address and what they do with it. Basically, your email can be obtained and used by putting it into a system that sends unsolicited automated emails. Your email can even be distributed to other lists and sold once collected. In my experience, often when you buy something or send somebody a message and he or she then uses your email address to send unsolicited marketing emails, this is spam (unless you opted in or agreed to receive emails). They may not think of it as spamming, but putting you on the mailing list without your consent to send regular and non-requested marketing information is spam. Other ways include your email address being harvested online, usually by spambots, but sometimes by people, for the intention of sending you spam, scams and phishing emails. Comment fields or contact forms on your websites can often be spammed too. Should I hide my email address? The first school of thought, display your email as an image, this way it can’t be harvested online by spambots. Although, even if you conceal your email address this way, your website address is visible and it is easy for an algorithm to guess many email addresses. For example, support@ info@ hello@ admin@ etc. are all widely used prefixes to many domains. However, in today’s mobile web it is not user friendly because people have to type your email to contact you. Most email and telephone numbers on mobile web are clickable and will open using email apps or calling apps. You can also use forms, but these are also fiddly on mobile devices in my opinion. You can use CAPTCHA plugins that help identify the sender as a human. The second school of thought, you should make your contact details as accessible as possible and not hide it in a form or image. Firstly, you can decide how and where to display your email address. As I have said, I don’t believe this will make a massive difference, but that is your choice. You can’t stop people spamming you, however, you can be reactive to it. If somebody you know or have dealt with puts you on a list and keeps sending you marketing emails that you did not ask for or want to receive, you should be able to unsubscribe. Most email systems have this built-in and displayed in the email. If they do not have this option, but you know them, simply ask them to take you off their list. If you are getting spam from sources unknown to you, simply mark it as spam in your email. This should always filter that email address and put it in your spam/junk folder so that you don’t have to see it. You can even block some domains and IPs with some systems. There are various services that you can pay for that claim to manage your spam, however, I have never had a problem that required it. My email spam filters have always been sufficient. I don’t think there is a lot we can do about email spam other than to hope that spam filters in email accounts will continue to improve to help us manage it better. I don’t think that hiding your email is an effective route either. I think email addresses should be clickable for your user. Now that we are all mobile users we expect to be able to use a website and its contact methods with ease. Copying an address or typing it is a major barrier for many. We have websites with visible and clickable email addresses and websites that have concealed the email through an image or some other form. 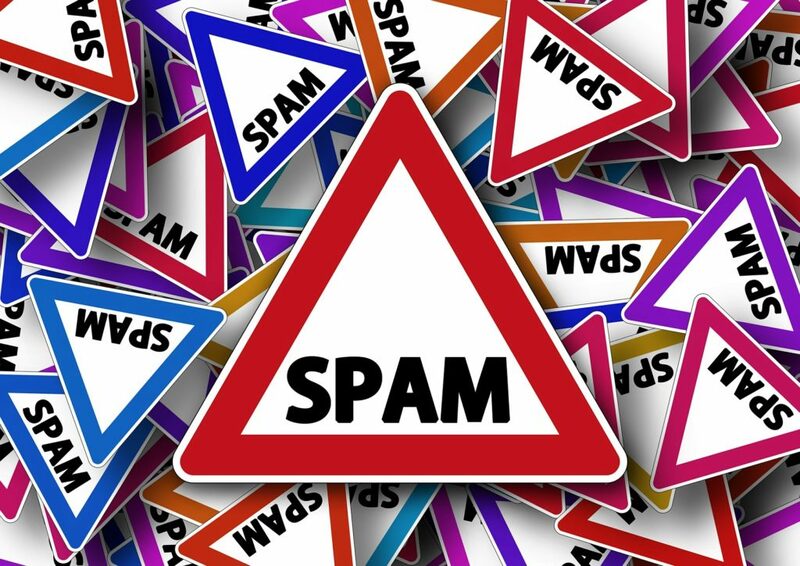 From this experience, it seems that the amount of spam is similar and regardless of how careful you are with your email address it can still find its way on to spam lists. I guess the main factor is, how intrusive it is? If you are getting thousands of spam messages in your inbox every day that is a different matter. However, if you get a few a week that don’t get filtered perhaps you can live with it or remove yourself from the list you are on (if that is possible). You can also use the Mark as Spam option and see what other options your email provider offers if this becomes a real nuisance. Hopefully, as technology becomes smarter even more spam emails will be filtered out in the future.